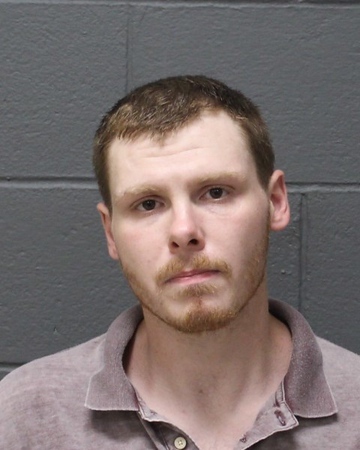 SOUTHINGTON - A Manchester man has pleaded guilty to leaving a child unsupervised in a local restaurant before being found with heroin and cocaine. Wallace Hart, 29, accepted a plea deal Friday that included no jail or period of supervision, such as probation. During the hearing, in Bristol Superior Court, Hart pleaded guilty to one count of leaving a child unsupervised - a misdemeanor. Charges of risk of injury to a minor and possession of a controlled substance were not pursued. Hart was sentenced to unconditional discharge, meaning he did not see jail time, a period of supervision or any other conditions. According to police, Hart was at the McDonald’s restaurant on Queen Street on Sept. 16, when police were called about a man who appeared to be under the influence of drugs while he was watching a 6-year-old. Officers were told the man, who was later identified as Hart, left the child at a table in McDonald’s at one point while he sat in his vehicle, police said. During the investigation, Hart was found with heroin and cocaine, according to police. A family member was contacted by police to take custody of the child. While his case was pending, prosecutors said Friday, Hart completed inpatient treatment. The state's Department of Children and Families closed out its case on the incident, prosecutors said. Posted in New Britain Herald, Southington Herald on Friday, 29 March 2019 14:36. Updated: Friday, 29 March 2019 14:39.